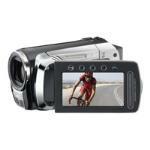 JVC Everio GZ-MS130 Expert Reviews - Read Reviews and Buy Smarter Online. Awesome product! Great value for your money! Verdict: I bought this camcorder to use at dog show's and for vacation's. I've used it a few time's since I've bought it and I'm very happy with it. It's very easy to use, take's great footage, sound is good. This certainly serves the purpose to what I wanted it for.